From the coauthor of the New York Times bestselling The Shape of Water comes the “utterly riveting” (Entertainment Weekly) tale of a murdered teen who is resurrected to walk the earth for more than a century. “Fearlessly weaving gore, love, philosophy, and social justice issues into one sharp whole” (BCCB), The Death and Life of Zebulon Finch, Volume One: At the Edge of Empire is the epic saga of what it means to be human in a world so often lacking in humanity. What seventeen-year old Zebulon Finch craves most is death. Dispossessed and alone, Chicago gangster Zebulon Finch is curiously resurrected from his murder in 1896 to endure a sequence of bizarre events while stumbling through significant eras in American history, desperate to make a worthy contribution to that history. His dead and decaying body becomes a reflection of the worst that is around him. A self-proclaimed degenerate of legend, with few options open to him, Finch experiences atrocities and violations of human dignity within the larger context of historical realism in America in the early twentieth century. 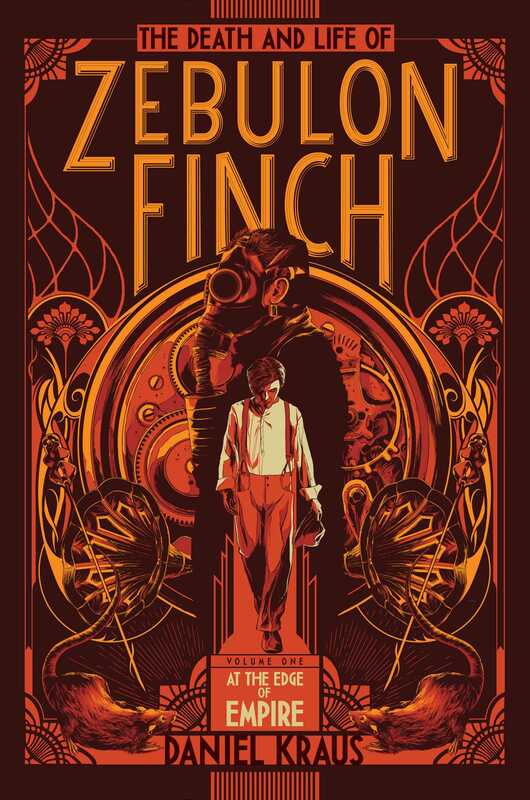 Whether exploited as a sideshow spectacle in a traveling medicine and freak show, or pawn to horrific human medical experimentation; whether desperately navigating the trenches of World War I, the onset of the Great Depression, or the frivolous world of Hollywood, Finch finds despair wherever he goes. Occasionally humorous, often grotesque and horrifying, with wicked supporting characters, this is a heart-wrenching search for redemption from the corruption of human nature. The end of Volume One gives us pause only to catch our breath until Kraus leads us once again into The Death and Life of Zebulon Finch, Volume Two: Empire Decayed. 1. Zebulon presents himself as the reader’s hero. How would you define a traditional hero? Do you think Zebulon is a hero? Why, or why not? What is the single most important thing he is trying to achieve? 2. The archetype of the anti-hero abounds in literature and pop culture. What is the definition of an anti-hero? What are some of the attributes and motivations they possess? 3. Several traits characterize Zebulon as an anti-hero. What attributes and conflicting motivations consistently contribute to Zebulon’s downfall? What do you see as his greatest flaw? Consider some examples. 4. Kraus has infused his darker, flawed, highly complex protagonist with enough traditional heroic strengths and intentions to grain reader sympathy. Choose one circumstance from the novel in which you most sympathize with Zebulon’s plight. What are his strengths? In what ways are you sympathetic to his point of view? How important is it to you that you can relate to the main character in a novel? 5. How do your impressions of Zebulon change throughout the story? For what reasons? 6. One important theme in the novel is humanity versus science. Zebulon’s physically decomposing and mutilated body can be seen as a reflection of everything around him. Discuss how this reflection ties into that theme. 7. What is the tone throughout the novel? Does the tone change as the novel progresses? Zebulon suggests that the foremost attribute of youth is hope. Does the author establish a feeling of hope through Zebulon’s perspectives and filters? Or does he express something else entirely? 8. 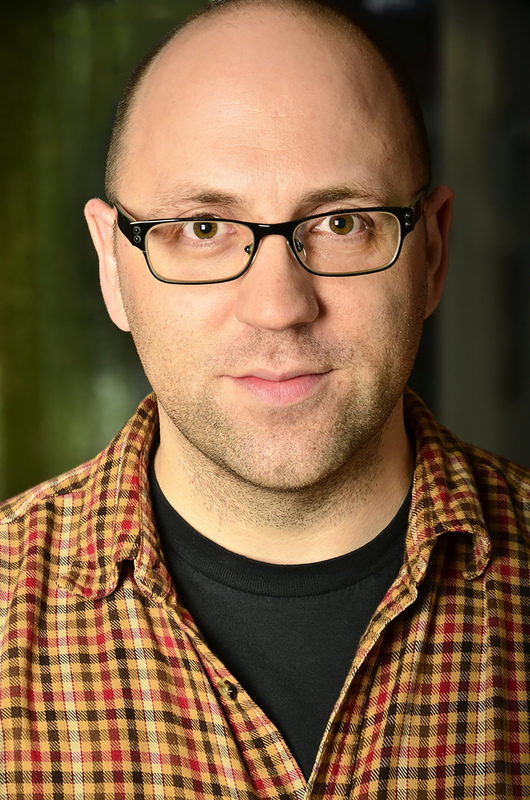 Zebulon describes his story as a “tragicomic opera.” Do you think his description is accurate? Why or why not? Are there any other literary genres that you would use to categorize this novel? 9. Examine this novel as a work of social criticism using satire as a literary device. What is the author’s purpose in presenting the story through satire? What corruptions of human nature does he expose? What other social criticisms or commentary does he offer to us as readers? Consider a few examples from the text to support your answer. 10. The use of irony often goes hand in hand with satire. Find and discuss examples from the text when Kraus has used irony to comment on the vices of American culture and society. How is it ironic that Zebulon’s final act is to write a book? 11. Kraus infuses the criticism of satire and the paradox of irony with humor. What scenes stand out as the most humorous to you? What purpose do you think the humor serves in each of these scenes? How does it impact the author’s use of satire and irony overall? 12. What general effect does Zebulon have on the people he meets? What effects do others have on him? Which supporting character most intrigues you? Why? What effect did this character have on you and on Zebulon? 13. What social commentary does the author suggest about each of the following characters: Barker, Dr. Leather, John Quincy, Merle, and Bridey Valentine. 14. Look back at the discussions between Zebulon and Merle. What is Merle trying to convey to Zebulon? Does Zebulon understand? Why does Merle have trouble defending her position? 15. What is Dr. Leather’s proposition to Zebulon? What does Zebulon believe about Dr. Leather’s motives? How does Dr. Leather justify his own beliefs and actions? 16. Consider the concepts of trust, friendship, dignity, prejudice, and redemption. What roles do they play in this novel? Which concept do you think Zebulon struggles with the most and why? 17. Church becomes a prominent influence in Zebulon’s life. Discuss Zebulon’s relationship with Church over the course of the story. How does that relationship change? What does it mean to each of them? 18. What is the nature of Zebulon’s relationship with Little Johnny Grandpa? How does their relationship impact Zebulon? What are some of the decisions and actions that result from Zebulon’s relationship with Little Johnny Grandpa? 19. What moments in the story are the most relatable to you? Most bizarre? Most suspenseful? Most heartbreaking? Most unexpected? Discuss. 20. What is the significance of the aggie that Zebulon keeps safe in his stomach? What is the significance of the Excelsior pocket watch? What do these things represent to Zebulon? 21. What is “la silenziosità”? When and how does Zebulon use it? What does it mean to him? What does it mean to the people upon whom he uses it? 22. In the trenches in World War I, what does Zebulon learn about the nature of sacrifice? What does he learn about brotherly love? What did you learn? 23. At the Edge of Empire provides a study rich in vocabulary. Were you able to infer meanings from the text? Discuss words you might now like to incorporate into your personal vocabulary. What does Zebulon’s use of language say about him? 24. As the author prepares us for Volume Two, Zebulon suggests that we “Never forget who I am and what I have done.” What does he mean by this? What is his purpose in conveying it? 25. Do you see life differently after reading this novel? Why or why not? Do you think you will do anything differently from now on? How so? 1. In the early 1900s in the United States, the Black Hand was prevalent in organized criminal activity. Create a graphic organizer or write a brief essay on American Organized Crime to show similarities and differences between Black Hand extortion operations and activities of the American Mafia during this time period. Address origins, purposes, participants, practices, and tactics. 2. Research the following: the state of medicine in the United States at the turn of the twentieth century, possible reasons for a proliferation of quack medicine shows promoting fraudulent herbal remedies and poultices, and the charlatans who promoted them. Did these charlatans and quack remedies provide something that was needed by the society of the time period? 3. Investigate the unsavory world of so-called “freak shows” in America at the turn of the twentieth century. The following compelling sources offer reliable research into these violations of human dignity: the 1971 novel, The Elephant Man: A Study in Human Dignity, a classic work by psychologist Ashley Montagu that inspired the 1980 semifictional American film, The Elephant Man, directed by David Lynch; and the 1977 play, The Elephant Man, by Bernard Pomerance, produced on Broadway in 1979. 4. Music plays a considerable role throughout this novel. Specifically, how does the music of Carlo Gesualdo played on the Victrola reflect Dr. Leather’s personality and the horrors of human medical experimentation? Research and discuss. 6. There are many well-known anti-heroes in literature and pop culture. Choose one anti-hero and place him/her in an imaginary conversation with Zebulon Finch. What would be their topic of conversation? On what key issue might they agree? Disagree? This guide was prepared in 2016 by Judith Clifton, M.Ed, MS, Educational and Youth Literary Consultant, Chatham, MA. "Kraus' careful prose gifts Mr. Finch with a voice that retains a sheen of elegance even as it repulses readers with macabre imagery." "Taking on the big questions of the meaning of life, the purpose of death, and good versus evil, this first half of a giant-size epic skillfully blends historical fiction, dark humor, and horror to push readers right to the brink." "[R]eaders will not be disappointed, making this another treat for fans of Kraus’s work...[I]t should be an option on the shelf in every library." "It’s a splendid, poetic, ambitious undertaking, and the significant page count is put to good use, with Kraus fear- lessly weaving gore, love, philosophy, and social justice issues into one sharp whole." "This is a book for readers who want to sink in and stay awhile."